Itamar Medical and Cardio Sleep Solutions specialize in the distribution of OSA sleep apnea monitors, home sleep study and sleep apnea diagnosis equipment with a focus on the established link between cardiology and sleep apnea. Percutaneous Coronary Intervention (PCI) is nowadays part of standard therapy in patients with symptomatic Coronary Artery Disease (CAD). However, the long-term cardiovascular outcomes after this procedure remain suboptimal1, and researchers are still investigating which patient characteristics effect the post-PCI cardiovascular risks. In the past decade, multiple observational studies have examined the association between the presence of Obstructive Sleep Apnea (OSA) and the recurrence of cardiovascular events in patients treated with PCI. Recently, a group of researchers from Beijing Anzhen Hospital conducted a systematic review and meta-analysis of these studies2, with the aim of shedding more light on the impact of OSA on subsequent cardiovascular outcomes after PCI. Overall 9 studies with 2755 participants were evaluated. In all studies, patients who underwent a successful PCI procedure were recruited prospectively for a sleep study in order to scan for OSA (based on standardized assessment of AHI in all studies, with AHI≥15 as cut-off value in most studies). The median follow-up duration was from 227 days to 5.6 years, and the primary endpoint was major adverse cardiovascular event (MACE), including all-cause or cardiovascular death, myocardial infarction, stroke, repeat revascularization, or heart failure. All studies had no treatments for OSA during this period. 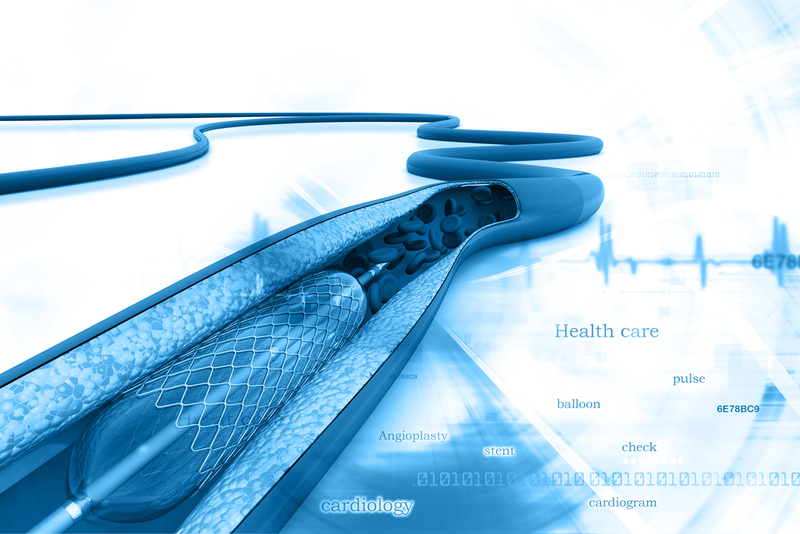 Overall, the prevalence of OSA in patients treated with PCI ranged from 35.3% to 61.8%. OSA was associated with increased risk of MACE after PCI (pooled risk ratio [RR] 1.96, 95% confidence interval [CI]: 1.36–2.81, P<.001). Moreover, the studies show that the presence of OSA significantly increased the incidence of all-cause death (4 studies), cardiovascular death (4 studies) and repeat revascularization (7 studies) in patients after PCI. For example, Zhang and colleagues3 found that the presence of OSA in post-PCI patients significantly increased the incidence of MACEs, the presence of three-vessel disease, the number of total implanted stents and the length of the stent when compared to the non-OSA group (25.0% vs 16.0%, P=0.038; 34.9% vs 23.4%, P=0.020; 3.3±2.0 vs 2.8±1.9, P=0.007; 83.8±53.1 vs 68.7±48.4 mm, P=0.010). Similarly, Mazaki and colleagues4 found that the cumulative incidence of MACE events was significantly higher in patients with Sleep Disordered Breathing (SDB) than in those without SDB (21.4% versus 7.8%, P=0.006, Figure). Importantly, this effect of SDB on MACE was significant also after adjustment for potential confounders such as age, smoking, ejection fraction, mean SaO2, minimum SaO2, use of b-blockers, and use of statins (adjusted hazard ratio 2.28, 95% CI 1.06–4.92; P=0.035). This strong effect of OSA presence on complications and morbidity following PCI, motivated some researchers to look into the effects of OSA treatment on the post-PCI outcomes. In one retrospective cohort study, Cassar and colleagues5 found that PCI patients treated for OSA had a statistically significant decreased number of cardiac deaths on follow-up when compared with untreated OSA patients (3% vs. 10% after 5 years, p=0.027), as well as a trend toward decreased all-cause mortality (p=0.058). However, there was no difference in the number of MACE between the two groups, leaving the question of whether treatment of OSA prevents MACE in need for further investigation. Fokkema, M. L., James, S. K., Albertsson, P., Akerblom, A., Calais, F., Eriksson, P., ... & Thorvinger, B. (2013). Population trends in percutaneous coronary intervention: 20-year results from the SCAAR (Swedish Coronary Angiography and Angioplasty Registry). Journal of the American College of Cardiology, 61(12), 1222-1230. Wang, X., Fan, J. Y., Zhang, Y., Nie, S. P., & Wei, Y. X. (2018). Association of obstructive sleep apnea with cardiovascular outcomes after percutaneous coronary intervention: A systematic review and meta-analysis. Medicine, 97(17). Zhang, J. J., Gao, X. F., Ge, Z., Jiang, X. M., Xiao, P. X., Tian, N. L., ... & Chen, S. L. (2016). Obstructive sleep apnea affects the clinical outcomes of patients undergoing percutaneous coronary intervention. Patient preference and adherence, 10, 871. Mazaki, T., Kasai, T., Yokoi, H., Kuramitsu, S., Yamaji, K., Morinaga, T., ... & Ando, K. (2016). 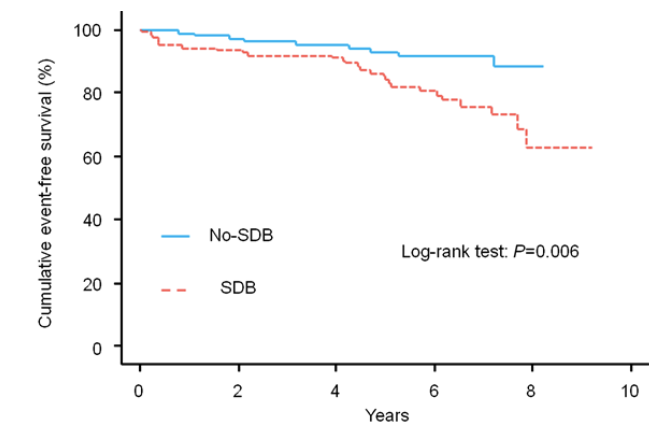 Impact of sleep‐disordered breathing on long‐term outcomes in patients with acute coronary syndrome who have undergone primary percutaneous coronary intervention. Journal of the American Heart Association, 5(6), e003270. Cassar, A., Morgenthaler, T. I., Lennon, R. J., Rihal, C. S., & Lerman, A. (2007). Treatment of obstructive sleep apnea is associated with decreased cardiac death after percutaneous coronary intervention. Journal of the American College of Cardiology, 50(14), 1310-1314. Cardio Sleep Solutions provide Watchpat Sleep Study equipment for obstructive sleep apnea monitoring, diagnosis and treatment. Atrial Fibrillation and other heart conditions have been linked to sleep apnea and patients benefit by using home sleep test equipment such as the Watchpat home sleep apnea monitor as a measure of heart disease prevention and on-going care used by Cardiologists. Cardio Sleep Solutions provide a total sleep solution with the Watchpat sleep apnea home test device, considering the well-established link between sleep apnea and cardiology. © 2018 Itamar Medical Ltd. All rights reserved.